Cala’n Blanes is a quiet resort situated on the west coast of Minorca, just north of Ciudadella, and next door to the busy resort of Cala En Forcat. Cala En Blanes is home to a small but enchanting beach made up of fine sands, framed by a grove of palm trees. 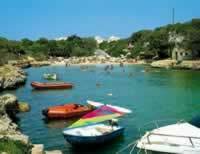 Nearby Cala En Forcat boasts a number of bathing platforms. 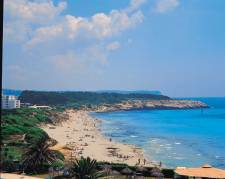 Shopping is mainly centred on the Los Delfines area of neighbouring Cala En Forcat although there are some other outlets scattered around the resort selling beach goods and holiday souvenirs. Evenings in Cala En Blanes are centred around the rustic restaurants and traditional tavernas that are dotted throughout the resort. Head to Cala En Forcat for a livelier night out, where clubs, bars and discos blast music into the starlit sky. Ciudadela offers a more cosmopolitan, chic nightlife with sophisticated bars and elegant pavement cafes. 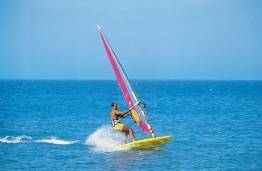 Cala En Blanes has some cafes and restaurants serving a variety of snacks and dishes. 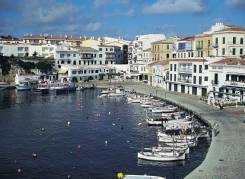 For greater choice, Cala En Forcat is home to a host of cafes and restaurants including fast food outlets. For a real taste of Spain, Cuidadella serves wonderful fish and seafood specialities.